Peter hails from South Bend, Indiana, where he grew up in the shadow of the Golden Dome. He received a B.A. in English from his hometown school, the University of Notre Dame, and began his path in collegiate recreation as an intramural official. Peter served as the graduate assistant for intramural sports at the University of Tennessee, where he earned his M.S. in Sport Administration. 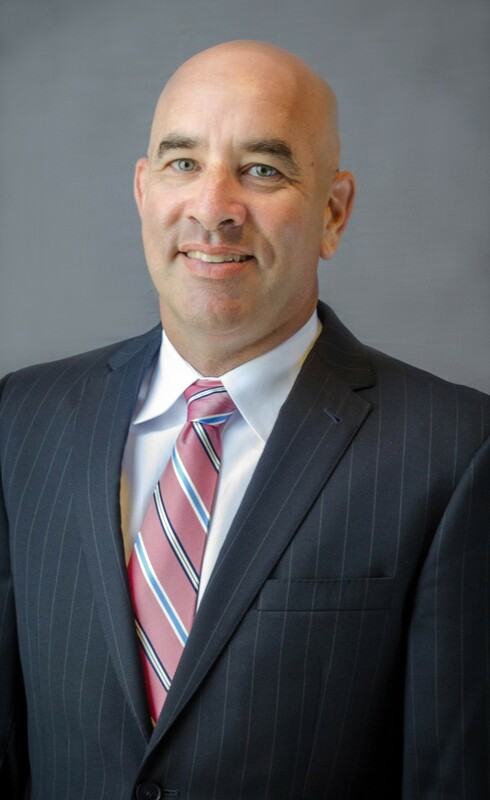 After serving for one year as the assistant director, Peter was hired as the director of campus recreation at Elon University, a position he held for 15 years before transitioning to his current role at the University of Mississippi. Peter has placed significant emphasis throughout his career on team-building and helping students enhance their professional competencies. 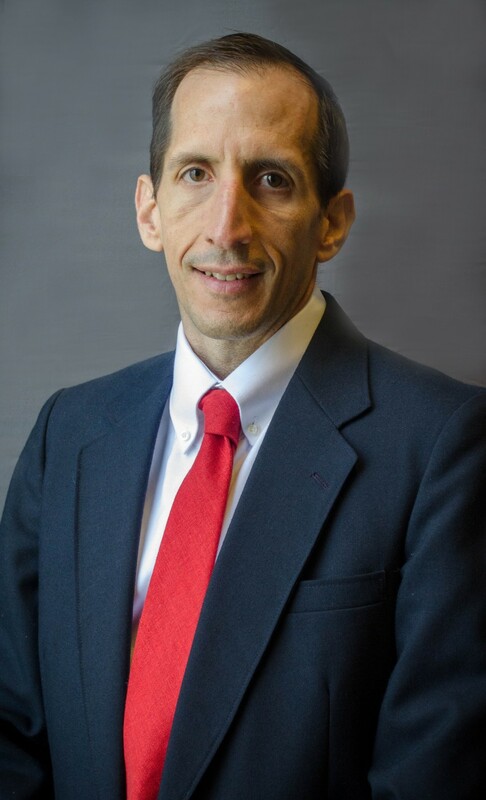 Peter is focused on the continued development of the university’s recreation and wellness initiatives, including the construction of a new recreation center. Peter resides in Oxford with his wife and three children, where they can often be seen at university events or local recreational activities. Jason was born and raised an Indiana Hoosier! 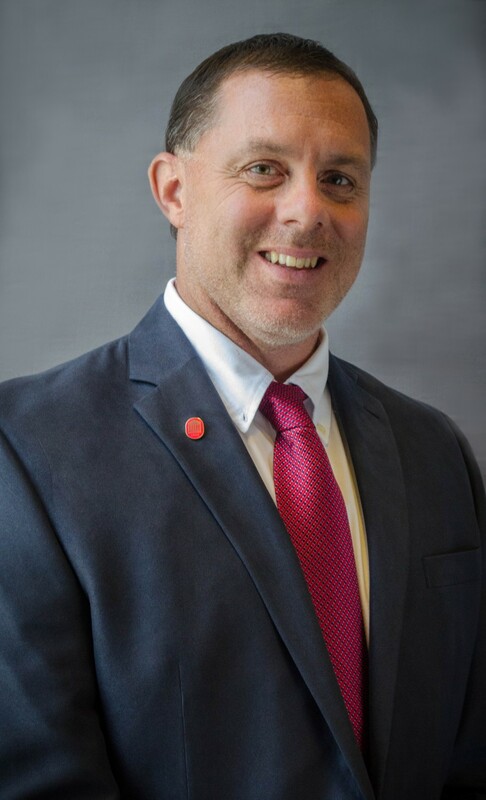 He attended Indiana University before landing an internship at Ball State University, which then lead him to the NIRSA National Conference where his path directed him south to Ole Miss for graduate school. He received a B.S. in Sport Management from Indiana University and an M.A. in Recreation Administration from the University of Mississippi. Jason enjoys working with students and helping them with their personal leadership journey as well as serving the university community as part of Staff Council. When not at work, Jason can be found at FNC Park coaching soccer, travel baseball, flag football, basketball and any other activity his two kids enjoy. He and his wife Amy enjoy spending time with family and friends, serving at First Baptist church, and attending Ole Miss sporting events! Amanda is originally from Michigan and moved to Mississippi in 2014, now calling Oxford home. She received a B.S. in Secondary Education majoring in Physical Education and minoring in School Health as well as received a M.A. in Sport Administration both from Central Michigan University. Fire Up Chips! She is currently an active member in NIRSA attending and presenting at conferences/workshops, serving on the NIRSA Championship Series Basketball Work Team, and enjoys traveling and volunteering at NCS Tournaments. Amanda strives to provide opportunities for students, faculty and staff to be active and build lasting relationships through sport. Her professional goal is to continue to offer inclusive programming and assist with integrating Unified Sports into campus recreation programs across the nation. When Amanda is not at work, she enjoys exploring Mississippi, getting outside and playing all types of sports, or having a relaxing Netflix night snuggled up with her two kitties. Shannon was born in South Carolina, raised in Georgia, then moved west in 2004 – and she has called Oxford, Mississippi her home ever since. 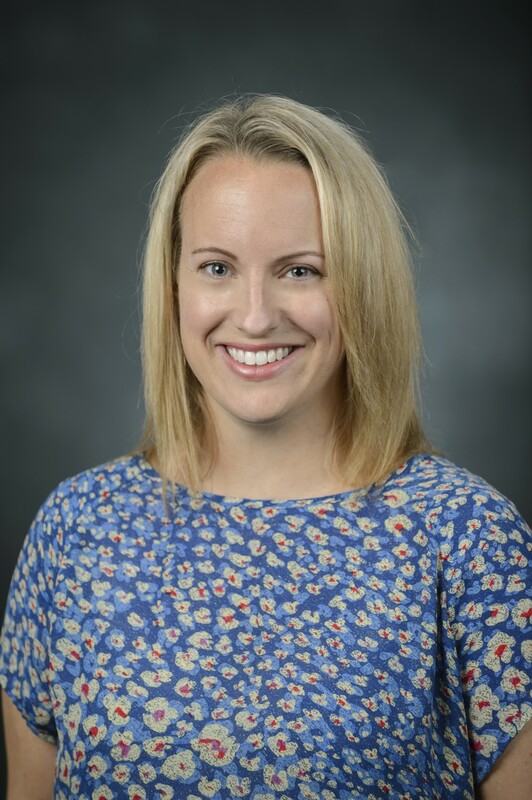 After completing her undergraduate degree, Shannon began working for her alma mater in the recreational sports program, and soon realized her passion for health promotion and working with university students. She holds a B.S. in Exercise Science from the University of North Georgia, an M.P.A. in Public Administration and Finance from Georgia State University, and a Ph.D. in Higher Education Administration from the University of Mississippi. 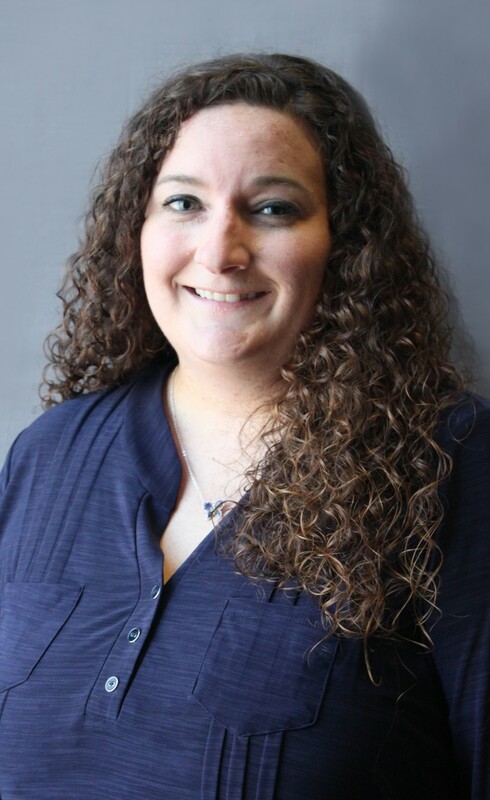 Shannon loves the great outdoors and helping others “get out and live.” Shannon’s professional focuses are programming, instruction, assessment, marketing, and student development. Outside of work, she is involved with several ministries at her church, and she enjoys trail running, coaching 6U soccer, and spending time with family and friends. Shannon is married to Hunter, who also works on campus, and they have two active children who keep them on their toes! Mark originally hails from Boston, and during his undergrad experience, his mentor helped him understand the career opportunities within collegiate recreation. Mark joined the University of Mississippi in 2004, and he holds a B.A. in Legal Studies and History from the University of Lowell and a M.Ed. in Higher Education Administration from William and Mary. Mark has been a recreational and competitive swimmer his entire life, and he enjoys sharing that passion with others. When Mark is not competing in the 400 IM or 1650, he enjoys spending time with his family. Mark is married to Stephanie and they have five (yes five!) wonderful children. Erin is a Mississippi native. She received a B.A. in Exercise Science at the University of Mississippi where she found her passion for health and wellness and solidified her love for Ole Miss. She then completed her M.A. in Health Promotion where she held a graduate assistantship positions in HESRM year one, and facilitated a substance abuse education program in the Office of Health Promotion facilitating year two. Erin then continued her education by completing a M.A. in Nutrition and Hospitality Management where she held a graduate assistantship position teaching nutrition in the Mississippi Delta. From there, Erin was hired as the Health Educator in the Office of Health Promotion at the University of Mississippi. After serving in that role for three years, Erin was hired as the Assistant Director for Health Promotion. Erin is currently ABD in her pursuit of a Ph.D. in Health and Kinesiology with a focus in Health Behavior from (yup!) Ole Miss. In 2015, the Office of Health Promotion migrated under the umbrella of Campus Recreation, in an effort to provide campus with a holistic approach to wellness. Health Promotion recently changed their name to Wellness Education to align with the upcoming William Magee Center for Wellness Education to be housed in the new South Campus Recreation Center. Erin’s focus is harm reduction, prevention, and recovery for substance use populations. She is excited to blend experiential learning and recreation into her substance use prevention work! Erin and her husband, John, have two beautiful children and can be found at many local sporting events, or depending on the time of year, duck hunting in the Mississippi Delta. Hotty Toddy! Carey is originally from Hendersonville, North Carolina, located in Western NC. She completed both her bachelor’s and master’s degrees in Recreation Management. Her love for the beach took her to Wilmington, NC, to complete her undergraduate degree at UNC Wilmington. Post undergrad, family connections lead her to Oxford to attain her master’s degree at Ole Miss. This is where she had her first experience in Campus Recreation, as an intern with Ole Miss Campus Recreation. Upon completing her master’s, she returned to NC and worked with the City of Hickory as a Senior Recreation Programmer for Fitness and Wellness. Missing the university recreation setting, Carey transitioned back into campus recreation as Fitness Coordinator at UNCW. Wanting to return to Oxford to be closer to family, the opportunity to move into the role of Assistant Director for Fitness worked out perfectly! During her free time, she enjoys spending time with her husband, Ben, her family and friends, going shopping and being outdoors with her dog, Georgia. She enjoys trying new forms of exercise and learning creative ways to stay active. She also has a passion for teaching cycle, yoga and functional training classes and working with clients to help others reach their fitness and wellness goals. The only bad workout you can have is the one you never do! Gabby was born and raised in Indiana, later attending Indiana University and receiving a B.A. degree in Psychology. She began working as a student in collegiate recreation after being recruited at a job fair at IU. Once realizing her passion for recreation she moved down to Oxford, MS to work as the graduate assistant for intramural sports and sport clubs, and pursue her M.A. in Higher Education/Student Personnel. After graduating she accepted the position of coordinator for intramural sports & club sports at Oakland University, serving in the position for 3.5 years before migrating back to Oxford, MS for her current position. Gabby is passionate about developing students to be the leaders of tomorrow. When she is not working, Gabby enjoys playing sports, enjoying the outdoors, or trying out food at a new local hotspot. Taja was born and raised in America’s Dairyland, Wisconsin! She received her B.A. from Beloit College in Health and Society. After completing her degree, she ventured to South Carolina to pursue a graduate degree in public health at the University of South Carolina. Though she remains a mid-westerner in heart, the south has become Taja’s new home as she has transitioned to Mississippi to be a part of Health Promotion team at Ole Miss! When not at work you can find Taja enjoying time with friends and family, talking about Walking Dead theories, and looking up prank videos on YouTube. Jaclyn grew up in New Jersey and joined the university as a graduate assistant for Facility Operations with the Department of Campus Recreation. She received a B.S. in Business Management from Rowan University in Glassboro, New Jersey and received a M.A. in Recreation Administration at the University of Mississippi. Knowing how much campus recreation impacted her life, Jaclyn serves to “pay it forward” to college students by promoting a fun yet developmental work environment. When Jaclyn is not at work, she can be found working out, playing with her two dogs, fishing, or spending time with her twin sister. Daniel is no stranger to North Mississippi. Raised in Booneville, MS, Daniel spent two years at Northeast Mississippi Community College before transferring to The Flagship – the University of Mississippi. He has a B.A. in history, and is somewhat of a history buff. Currently, he is pursuing a Masters in Higher Education/Student Personnel. Additionally, Daniel is an active NIRSA member and currently serves as the State Student Leader for Mississippi. He has two older brothers, whose footsteps he followed to come to Ole Miss, and a younger sister/best friend who is currently attending the university as well. An avid sports fan, Daniel can be found at almost any sports event on campus. When Daniel is not at work or in the library studying, he can be found enjoying a good book, scouring the internet, playing video games or hanging with family and friends. He loves meeting new people and making new friends, so strike up a conversation with him (he loves “dad jokes” and trivia questions). Jamaal was born and raised in Chatom, Alabama. He attended the University of South Alabama where he received his B.S. in Business Administration- General Management and his M.S. in Sports Management. While pursuing his Masters degree, Jamaal served as the graduate assistant for USA’s Intramural and Sport Clubs, interned with USA’s football operations and equipment departments, and interned with the Reese’s Senior Bowl. When Jamaal is not at work, he enjoys playing and watching different sports, spending time with family, and enjoying life to the fullest. Yvonne was born and raised in Mississippi and has considered Oxford home for over 25 years. After attending Oxford High School, she graduated from The University of Mississippi in 2004 with a B.A. in Psychology from the school of Liberal Arts. When not working, she enjoys reading, watching her children play sports, and attending Ole Miss sporting events. Joining our staff in 2017, Yvonne looks forward to working with students and promoting our vision of The Flagship legacy at Campus Recreation. A fun fact about Yvonne, she lives in a house full of boys- her husband, 2 sons, and 3 cats! Rhonda is a native of Oxford, Mississippi and a graduate of Oxford High School. Rhonda received her bachelor’s degree from Delta State University in 1995. Rhonda started her Ole Miss career in 2005 working with Employee Health. She was asked to join the Office of Health Promotion a year later. They say home is where the heart is and Rhonda’s is in Oxford, home of the Ole Miss Rebels – HOTTY TODDY! Rhonda enjoys Ole Miss sports, especially football and baseball season. When she is not working she spends time with her beautiful daughter and her very close-knit circle of family and friends. Caroline grew up on the shores of Cocoa Beach, Florida. She values family, integrity, and accountability in addition to TEAM CR’s values and loves learning from students, team members, and the University of Mississippi community. 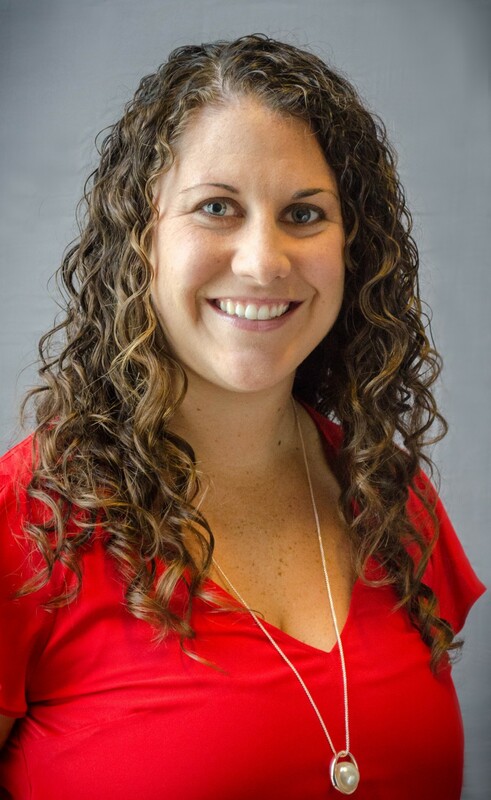 Caroline started working in collegiate recreation at the University of Florida and quickly found her passion in the field of student affairs. After earning a B.S. 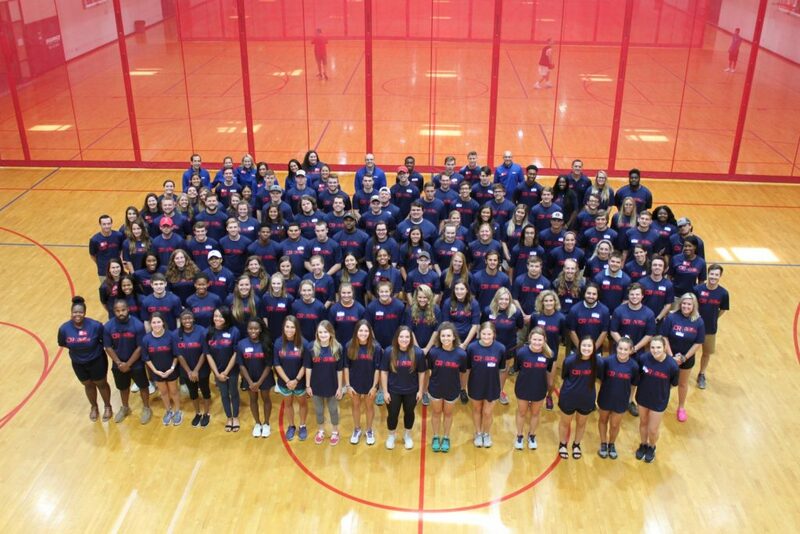 in Health Education she knew Ole Miss was the perfect fit for her to continue her growth in the realms of Campus Recreation and Higher Education. She is passionate about her NIRSA involvement and currently serves as the NIRSA Student Leader on the Student Leadership Team. She loves coffee, communicates using movie quotes, and is aggressively mediocre at most sports. Go Gators and Hotty Toddy! Megan was born and raised in Olney, Maryland, a town an hour outside of Washington DC. She graduated from the University of Maryland, College Park with a B.S. in Kinesiology. While there, Megan was involved in a lot of different things, but her love for Campus Recreation outweighed them all by serving as a President of Women’s Club Volleyball and a Program Assistant for Intramural Sports. While taking some time off after graduation, she discovered her love of coaching and working at her local high school as an assistant to the Athletic Director. Eventually she realized she missed Campus Recreation too much and made her way down south to Ole Miss to pursue a Master’s in Recreation Administration. When Megan is not at work she can be found baking with roommates, playing with Olivia Dyer’s dog, watching Netflix, or out playing volleyball. Even though she will miss her family, friends, and dog back up north she looks forward to diving into new experiences working for a department at a new school… and no, unfortunately Megan is not related to Tom Brady. Nathan is originally from Hilliard, Ohio, born and raised as a Buckeye in the shadow of The Ohio State University, where he received a B.A. in History with a minor in Geography in the spring of 2017. He decided to expand his horizons and move down South to Ole Miss, where he is pursuing a Master’s Degree in Recreation Administration. Nathan’s love for campus recreation was spurred by his career as a baseball, basketball, and football official. Through NIRSA, he officiated several regional flag football and basketball tournaments, as well as the 2015 and 2017 NIRSA National Flag Football tournaments, and the 2017 NIRSA National Basketball tournament. His interests outside of campus rec include Ohio State and Cleveland sports, Star Wars, The Office, and outdoor activities such as hiking and canoeing. Bailey comes to Ole Miss Campus Recreation from the West Coast; he was born and raised in Simi Valley, California. Bailey earned his B.S. in Community Sports Management from Arizona State University, which is where he found a passion for officiating intramural sports as well as student development. Upon completion of his degree, he moved on to the University of Denver Club Sports & Intramural program where he spent the year serving as an intern. During his time at Ole Miss, Bailey will be pursuing his masters degree in Recreation Administration. Bailey considers himself to be a lifetime learner and is always ready to read a good book or to meet someone new. When Bailey is not at work you, can find him camping, rooting for his Sun Devils, officiating high school basketball or playing on just about any sports team. Courtney comes to Ole Miss from the city of Austell, Georgia. She is a recent graduate of Georgia Southern University where she received a B.S. in Journalism and Public Relations. While studying at GSU, Courtney found her passion for health and exercise. She became a certified group fitness instructor in 2014 and Schwinn Cycling instructor in 2015. She enjoys teaching HIIT, cardio kickboxing, boot camp and cycling and will push you to be the best version of yourself in every class. When she isn’t in the gym, Courtney enjoys binge watching Netflix series, shopping and spending time with friends and family. While at Ole Miss, Courtney will be pursuing her Masters in Higher Education/Student Personnel. Upon graduation, Courtney plans to pursue a career in Campus Recreation or Admissions. She is excited to build relationships within the Ole Miss community and encourage the importance of health and wellness on campus. Hotty Toddy and Hail Southern! Cheyanne was born and raised in Bloomingburg, New York, a small town in the heart of the Hudson Valley. Her journey down south began with a stop in North Carolina where she attending Wingate University, to pursue collegiate swimming and obtain her B.S in Exercise Science. When her time with swimming came to an end, Cheyanne dove head first into Campus Recreation to fill the void that competitive swimming had left. She became a certified Personal Trainer in 2014, Crossfit Coach in 2014, USAW Sports Performance Coach in 2016, and a Group Fitness Instructor in 2017. Her journey down south has brought Cheyanne to Ole Miss where she will be pursing her Masters in Health Promotion with dreams of remaining in the field of Campus Recreation. Although Cheyanne’s family remains in New York, she did travel to Oxford with her precious cat Malibu, who enjoys drinking out of the sink and playing fetch. Her other hobbies include drinking coffee, reading and being called ‘Bubba’ by her friends. GO DAWGS (Wingate.. not UGA) and Hotty Toddy! Courtney is a true Georgia Peach, born and raised. She received her B.S. in Kinesiology with an emphasis in Exercise Science and a minor in Psychology from the University of North Georgia. After completing her undergraduate degree, Courtney moved to Mississippi to earn her M.S. in Recreation Administration from Ole Miss. During her undergrad career, she discovered her passion within the challenge course industry and has since focused her career goals around the profession. She holds her Level 2 ACCT certification and is actively pursuing higher certifications and involvements within the field. When she is not working in the trees, you can find Courtney rock climbing, paddleboarding, or otherwise adventuring through life, encouraging those around her to go, lead, and explore! Courtney’s dream career after graduation remains in the trees as an Adventure Therapist helping people of all abilities experience all that life has to offer. Davis calls the bluegrass of Lexington his old Kentucky home. When it was time to pursue a higher education, Davis decided to move twenty minutes south to attend Eastern Kentucky University and pursue a Bachelors degree in Recreation and Park Administration. It was there he discovered his dislike for being inside and love of heights, and as a result you can often find Davis rock climbing around the southeast when he has a free weekend. After spending the the first twenty-two years of his life surrounded by thoroughbreds and wildcats, Davis made the decision to come to Ole Miss for his master’s degree in Recreation Administration and find out what it really means to be a Rebel. Levi was born and raised in the Heart of the South. He calls Odenville, Alabama home (near Birmingham). He competed in cross country and track and field for the University of West Alabama where he received a B.S in Physical Education and Health. After competing in college, Levi turned his sights to the administrative side of college athletics. As he finished his undergrad, he assisted alongside the Sports Information Department in marketing and community outreach for the cross country, track and field, and triathlon programs while working as a volunteer coach handling the daily operations of the three programs. Levi is pursuing a master’s degree in Higher Education Administration. When he is not at Campus Recreation, he is assisting with the Ole Miss Cross Country and Track and Field program. He is a proud uncle of two nephews, Hayes (4) and Bryce (2). Adole was born in Lubbock, TX and after moving a couple of times eventually ended up in Vicksburg, MS. She had known that she wanted to attend Ole Miss since she was a freshman in high school and received a B.S. in Biological Sciences after 4 amazing undergraduate years. Following her passion for health, after interning for two summers at the University of Tennessee Health Science Center, she decided to attend and received her Ph.D in Health Outcomes and Policy Research. After graduation, Adole worked in the Mississippi Delta for 4 years in Charleston, MS, where she worked with community residents on pressing health issues, particularly chronic disease and nutrition education. She also worked with the City of Charleston to help push various health policies to benefit the city residents. With this experience, she developed an interest in mental health comorbidities and decided to pursue a M.Ed. in Clinical Mental Health Counseling. After graduation, Adole plans to use the experience gained during her time with Wellness Education and clinical counseling experiences to inform research on mental health outcomes in chronic disease and vulnerable populations. In her free time she enjoys spending time with her friends and family, being entertained by her 3-year old’s antics, watching historical movies, and reading a good book! Que’Taurus is an Oxford native having graduated from Oxford High School. He received his B.Accy. in Accountancy at the University of Mississippi. Que is pursuing a Masters in Taxation and Data Analytics with plans to become a licensed CPA. He has two older brothers and two older sisters after whom he models to push himself. Being a local, Ole Miss and Campus Recreation have had a major impact on his life, and he plans to give back to the community that gave him so much. When he isn’t in the books, hanging out with friends, or reading up on new business trends, you can be sure to find him on the basketball courts in Turner being just a kid from Oxford.